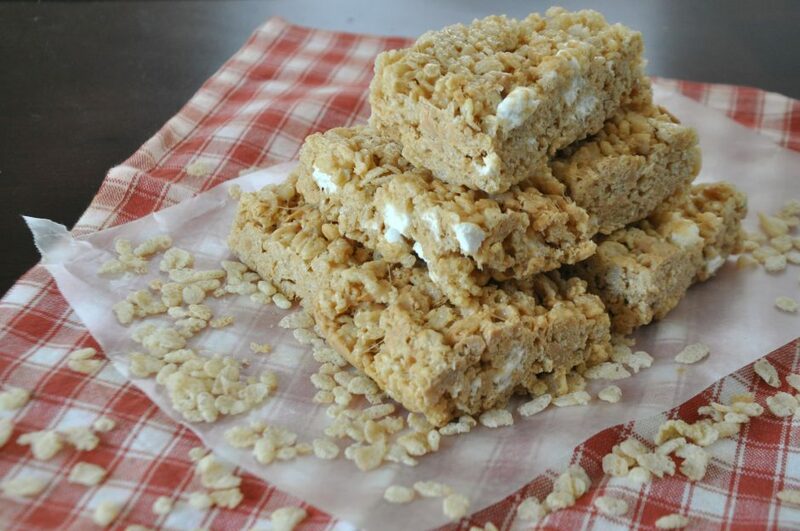 Rice Krispie treats are easy to make in mass quantities, and everyone loves them – aka classic bake sale fare! The same way that brownies are easily jazzed up with different mix-ins, rice krispie treats can also be more exciting than your regular old marshmallow and butter combination. 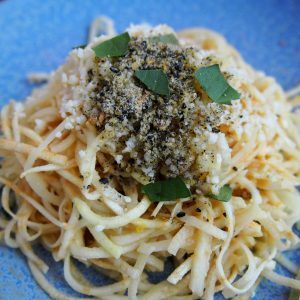 For this recipe, I combined peanut butter with regular butter, and added some peanut butter chips leftover from a previous project. I love the addition of unmelted marshmallows at the end, because it creates a more interesting texture when you bite in. These treats are super quick and easy, and a refreshing way to get your peanut butter fix. In large saucepan melt butter over low heat. Add in 5 cups of marshmallows and stir until completely melted. Add in the peanut butter and continue stirring until the mixture is smooth. Remove from heat. Add crisped rice cereal; stirring until well coated. Fold in the peanut butter chips and remaining 3/4 cup marshmallows. Using buttered spatula, press the mixture into the prepared pan. Cool. Cut into 2-inch squares. 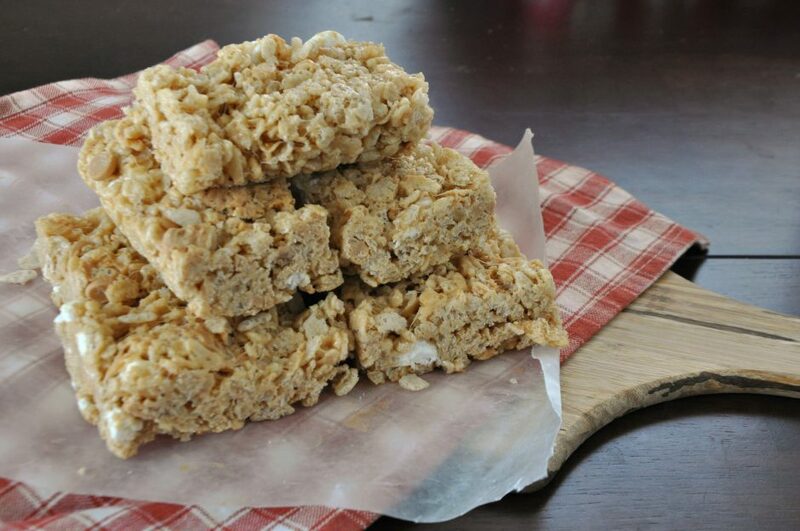 Rice krispie treats are always best served the day they are made, but if they do get stale, pop them in the microwave for about 10 seconds and they will soften right up! Substitute the peanut butter chips for Reece’s Pieces, or chopped up Reeses cups, or peanut M&M’s – whatever your heart desires!